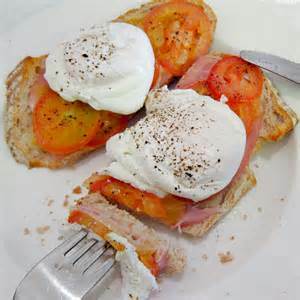 This delicious combination is the healthy version of the traditional greasy full English breakfast. 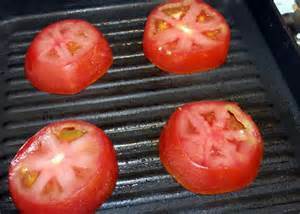 Put the tomatoes cut-side up on a grill pan. Mix the basil with 2tbs of the oil and drizzle over the cut tomatoes. Add lots of salt and pepper. Meanwhile, heat the rest of the oil in a frying pan and and fry the ham until crisp. Drain on kitchen paper. To poach the eggs, bring a large saucepan of water to the boil, add the vinegar, then stir the water rapidly in a circular motion to make a whirlpool. Break an egg into the centre of the pan and cook for 3 minutes. 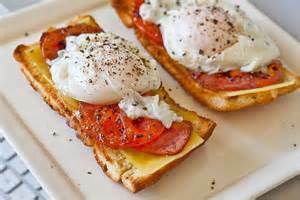 Dish up on buttered toasted muffins or toast with a slice of ham and some grilled tomatoes. 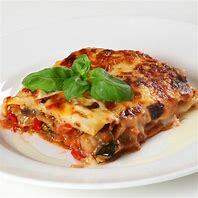 Add a slice of cheese, if you like! 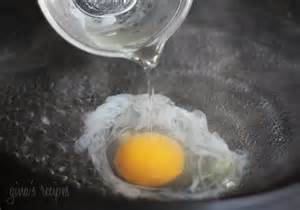 Cook the other 3 eggs in the same way.